Cloud-based Point of Sale (POS) systems are gaining popularity amongst all the restaurants in India. They are the most trusted and valuable systems for any type or size of restaurant. The advanced solutions offer the business owners a sense of reliability and flexibility according to the business needs. If you are considering the cost, security or easy-to-use systems for your restaurant, the cloud-based POS system is an ideal solution. Thus, the count of Point of Sale restaurants is on a constant rise these days. An ideal restaurant POS solution should offer everything from processing orders to delivering to bills and records secured transactions. For a smoother restaurant functioning, owners require a POS system that increases their overall potential. Thus, the modern restaurant owners trust the cloud portals that is accessible from anywhere and at any time. They can get timely reports for sales, feedbacks, inventories and more. Besides, the major advantage these Point of sale systems offer is the real-time solutions for any situation. 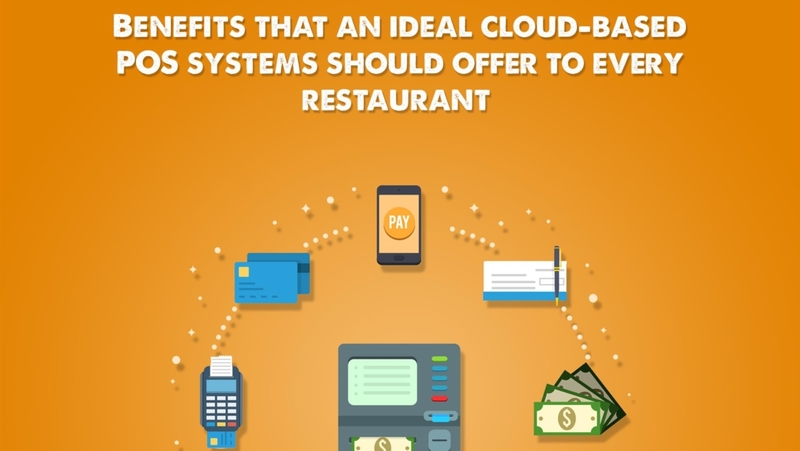 Let’s track down what benefits these cloud-based POS systems offer to every restaurant. A cloud-based POS system offers data for profit sales and growth. It helps to record and track every purchase. A restaurant owner can analyze the data and track which menu items are the most favoured by the customers. Using this demographics and customer behavior, they can create targeted marketing campaigns. Also, the owners can leverage the auto-tracking functionality of the POS systems. This tracks the profits and promotions of the restaurants precisely. Thus, providing the best customer service. Technical newcomers find cloud an intimidating concept. But these cost-effective systems promise 100% success rate for every size of your restaurant business. This technology can benefit the business to run safely and more efficiently. Hence, more profits and better customer experience. The cloud-based POS systems can be easily set-up. They provide the encrypted online storage, hence there is no risk of any failure or incompatibility. Also, there are no tedious tasks of installation of drivers or hard drives. Moreover, restaurant owners can get your sales and reports automatically backed-up. No manual tasks needed. All you can do is sit, setup, install and enjoy. Customers can enjoy this highly secured and encrypted system that offers smoother transactions on their orders. A POS provider can ensure that your servers are configured, backed up and constantly maintained. Also, any such software upgrades are carefully handled from the remote server locations. All this is done without any input from the business owners. The POS provider can keep a track of the growing hardware and performance needs of your running business. It can provide timely alerts on your devices for any potential service updates. Also, it notifies you in case of instant software upgrades and automatic updates for your cloud-based point of sale restaurant systems. However, you can customize the updates to avoid any discrepancy in your workflow. It doesn’t matter what type of restaurant you own, a cloud POS can keep a track of every product and its sales. You can avoid last-minute discrepancies and ensure seamless functioning of your restaurant business. A cloud-based POS system is capable of fixing issues like erroneous record of inventory and unrecorded sales. This POS saves both time and cost of restaurant staff and the owners. This system reduces the human effort to update the cost sheets and maintain the log. Moreover, it delivers consistency in terms of pricing for improved profits and sales. The best benefit the cloud POS systems in India can provide is excellent control over your inventories and stocks. This can save manpower and extra manual operations. The cloud-based POS restaurants can enjoy the actively measured inventory feature. Also, it provides robust and error-free solutions when it comes to massive stock counting and reporting. 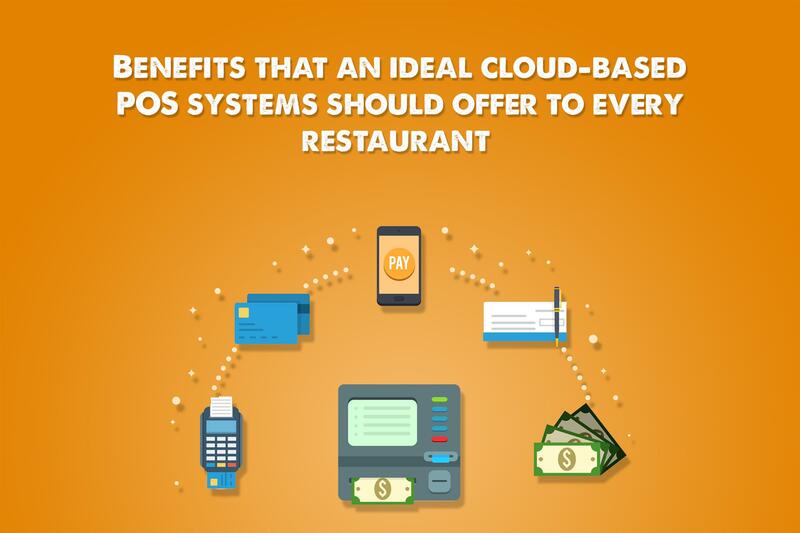 Thus, restaurant owners can enjoy a lot of benefits from the cloud POS systems in India. It is a one-time investment that provides them with valuable returns. As a restaurant owner, you can increase your profits with this smart system that handles major processses on your behalf, efficiently and effectively.